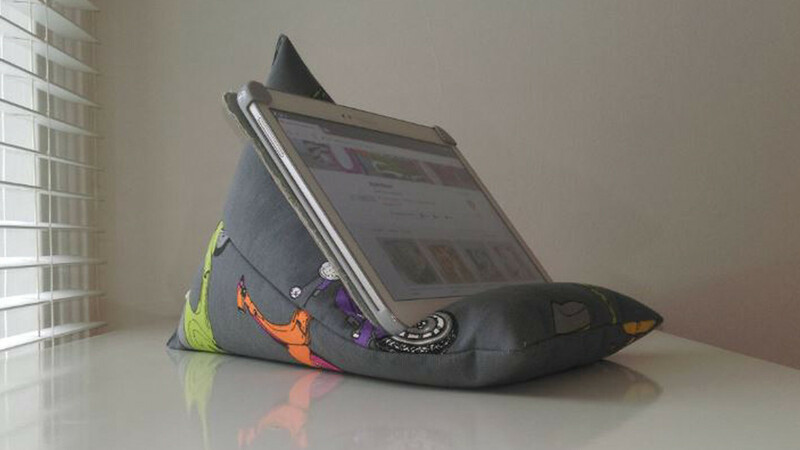 This versatile iPad or tablet pillow makes it possible for you to position your iPad vertically or horizontally. It keeps your device safe while providing a perfect viewing angle. You can also use it to hold other items such as books or your phone. This is a great idea for someone who uses multiple devices. It is universal so you can use it for all of your devices instead of having multiple stands. Each one is individually handmade and you can choose from several different fabric designs. The fabric is 100% high-quality cotton and the pillow is filled with polystyrene beads.